Jeremy R. Kriegel is listed in Chambers USA as a “key individual” at Marshall, Gerstein & Borun LLP. Chambers 2013 praises the “thorough[ness] in his consideration of the issues and their potential impact on his client’s business,” and his “innovative insight and creative solutions.” Chambers 2012 says he "is known for his work in medical device patents. He is well-respected by his peers for his expertise in patent prosecution." Mr. Kriegel reliably guides clients in such industries as medical devices and consumer products, across all phases of the product life-cycle. His clients find he readily grasps complex IP rights and business issues, building from his training in mechanical engineering. Detail-oriented by nature, he navigates clients toward optimal business positions through careful counsel and forward-thinking intellectual property strategies. Mr. Kriegel has been named an “IP Star” in Managing IP's 2016 IP Stars Survey (fka the World IP Handbook and Survey). He was also selected as a “Leading Lawyer” by the Law Bulletin Publishing Company. Mr. Kriegel secured numerous patents for a global innovator of automated bottling, labeling, and quality control systems. He coordinated patent applications on consumer packaging and injection molding innovations for a Fortune 100 company. He has also counseled several medical device developers and manufacturers through patent application processes and freedom to practice issues, carefully guiding the companies in the protection of significant advancements in catheters, orthopedic devices, breastpumps, and ostomy products. As a result, they were able to bring to market products that have helped many people realize increased comfort and dignity after surgery, as well as an improved quality of life. In addition, he served as patent interference counsel in cases ranging from paper shredders to window shade pull devices and steered an industry-leading maker of injection-molded components for drainage, septic tank components, construction and consumer products through a myriad of patent, trademark, copyright and trade secret issues, from early design through product launch and beyond. In balancing patentable opportunities with infringement clearance concerns, he eased this innovative company’s products’ route to significant market successes. Jeremy R. Kriegel prepares and prosecutes U.S. and foreign patents in a wide range of mechanical technologies. He also helps lead companies' products to market by counseling on patent and trademark infringement, licensing, patent validity, right-to-make issues, and product marking. In addition, he is experienced in patent and trademark licensing, trademark litigation and prosecution matters, as well as Internet domain name disputes. He has also represented clients in patent litigation matters, including participation in all phases of discovery, Markman hearings, and settlement negotiations. His approach to securing patents begins with solid analysis and attention to detail. Then he leads clients through the process, simplifying complex issues for them. 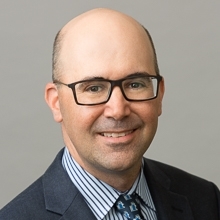 He works closely with them all along the way, being easily accessible to clients and helping them avoid pitfalls and realize commercial advantages within the nuanced, ever-changing world of intellectual property law. He received his J.D. in 1995 from Washington University School of Law (St. Louis, MO). He received his B.S., with distinction, in mechanical engineering and a Certificate in Management Studies, with a concentration in public sector analysis, from the University of Rochester (Rochester, NY) in 1992, where he was inducted into the honors society Tau Beta Pi. While in law school, Mr. Kriegel served on the law review editorial board as Notes and Comments editor for the Washington University Journal of Urban and Contemporary Law, and served as a law clerk to the Hon. Edward M. Thomas of the Wayne County Circuit Court in Detroit. "Don't Expect Filing Disruptions If USPTO Shuts Down," Law360, January 3, 2019 (featured quotes). "Major Departure at USPTO," Intellectual Property Magazine, June 29, 2017 (featured quotes). “Through the Looking Glass,” Chicago Lawyer Magazine, May 2017 (featured quotes). “New EPO Requirements Regarding Patent Assignments,” Co-Author, Marshall Gerstein Alert, December 2, 2016. “IP Basics for New Attorneys and Non-IP Attorneys,” CBA Introduction to Patent, Trademark, and Copyright Law Seminar, October 18, 2016. He has twice co-chaired the Chicago Bar Association's national moot court competition. A volunteer for the Chicago Intellectual Property Alliance (CIPA), Mr. Kriegel mentored law students interested in careers in intellectual property law and also judges high school science students on behalf of CIPA at the Chicago Science Fair. A volunteer practicing attorney “coach” for the Chicago Committee LegalTrek program in which he mentored college students from historically underrepresented groups, helping them to develop and hone contract negotiation techniques while encouraging them to attend law school and pursue careers in the legal profession.